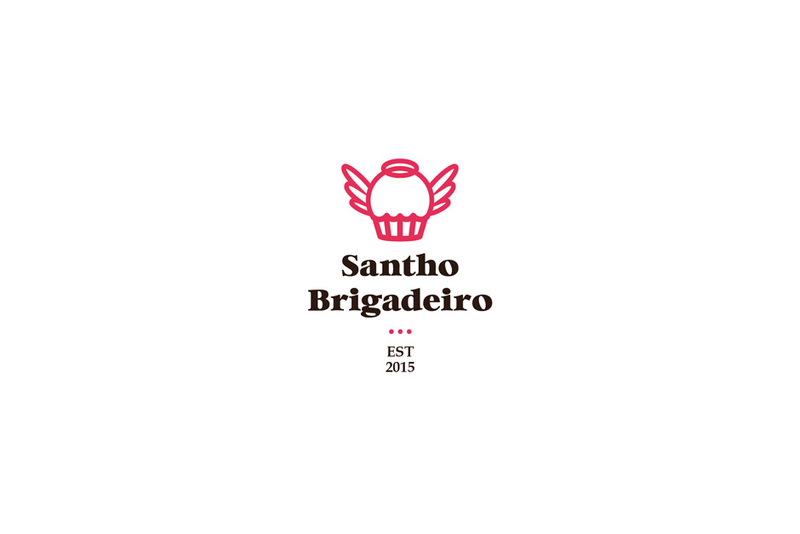 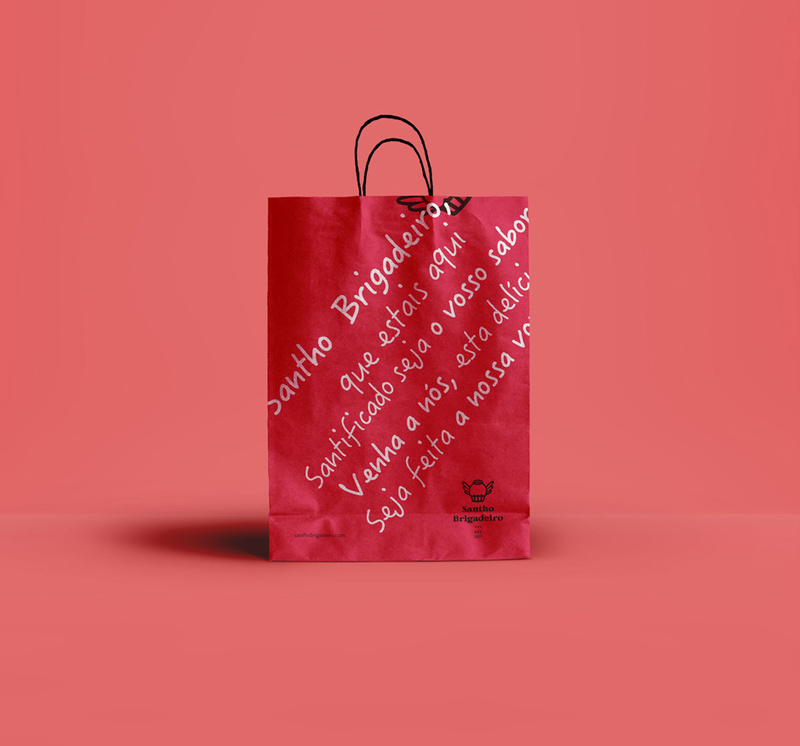 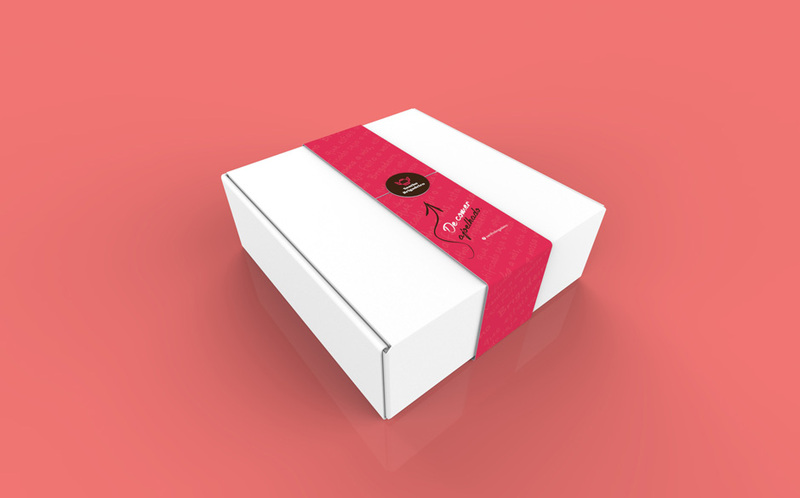 Santho Brigadeiro is a Brazilian truffle Brand from Porto Alegre that was born to fulfill the growing market space of foods for social and corporative events. 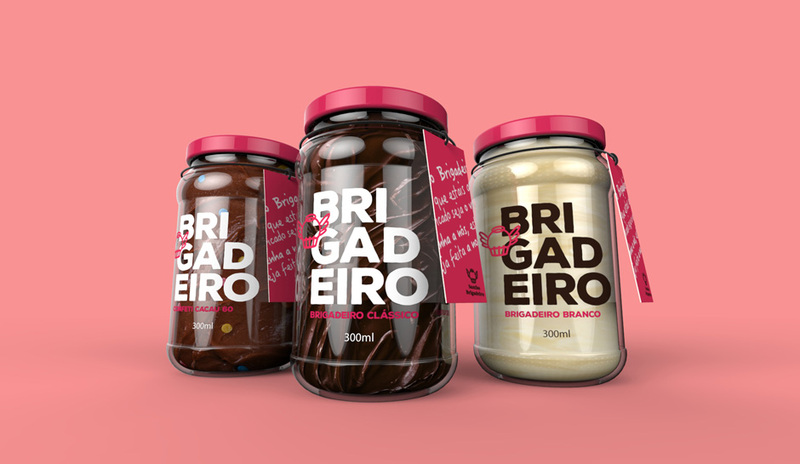 The idea was to create a line of sophisticated gourmet candies made with upscale ingredients – brigadeiro is a popular delicacy in Brazil. 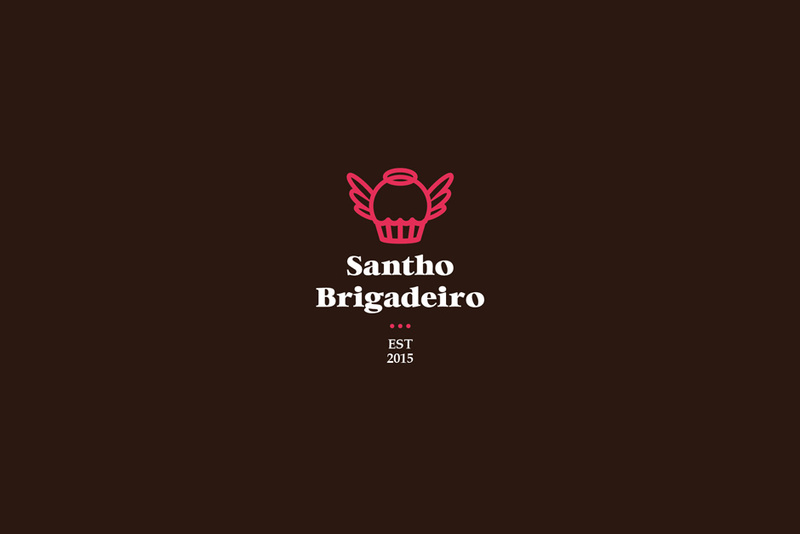 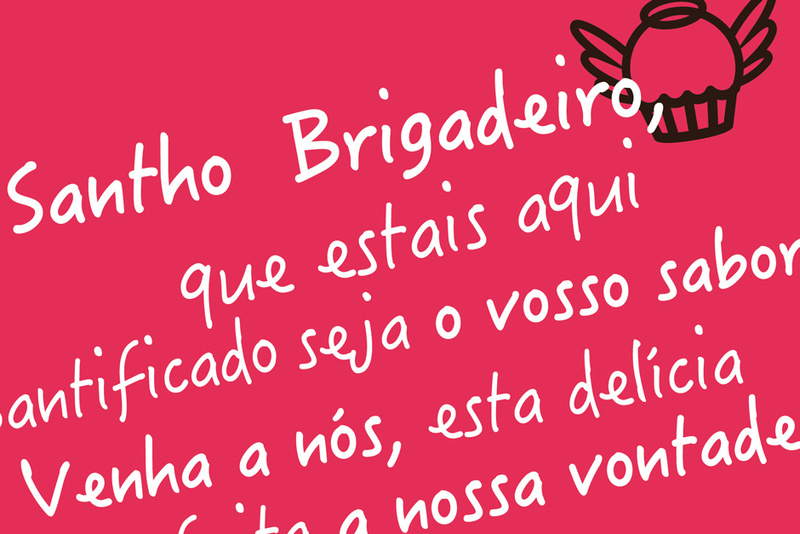 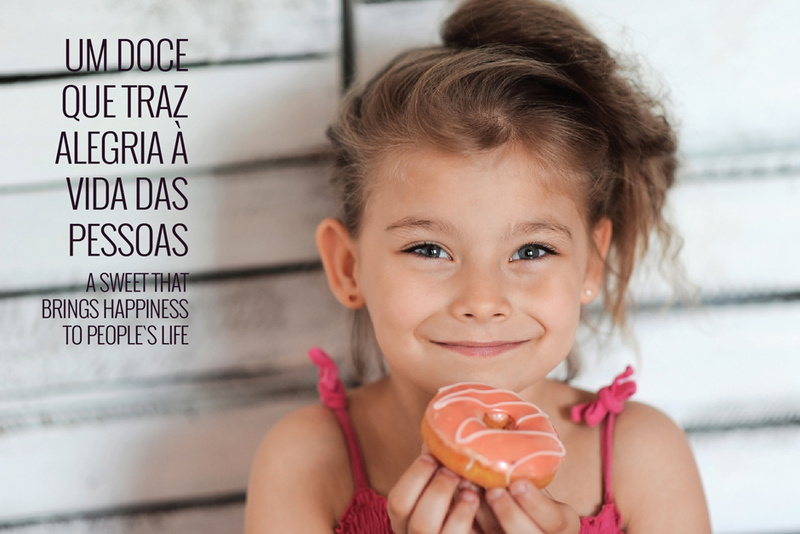 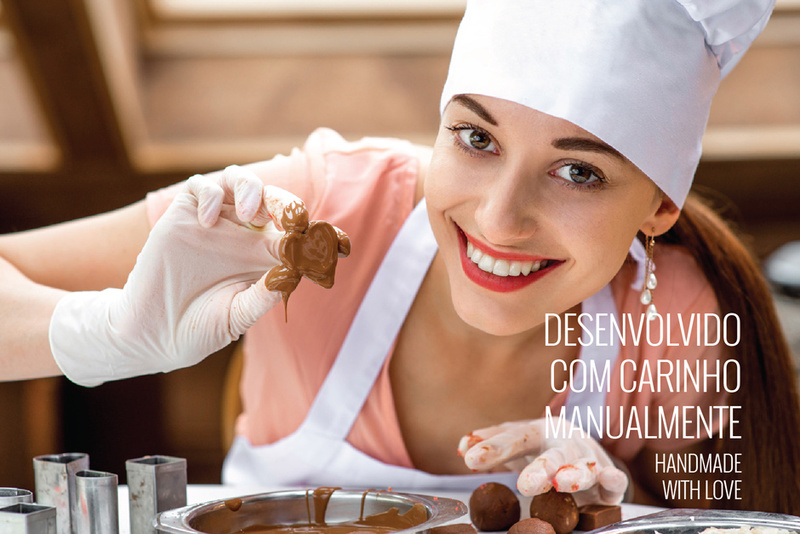 The concept of Santho refers to a brigadeiro of the Gods, so delicious that you should eat it “on your knees”. 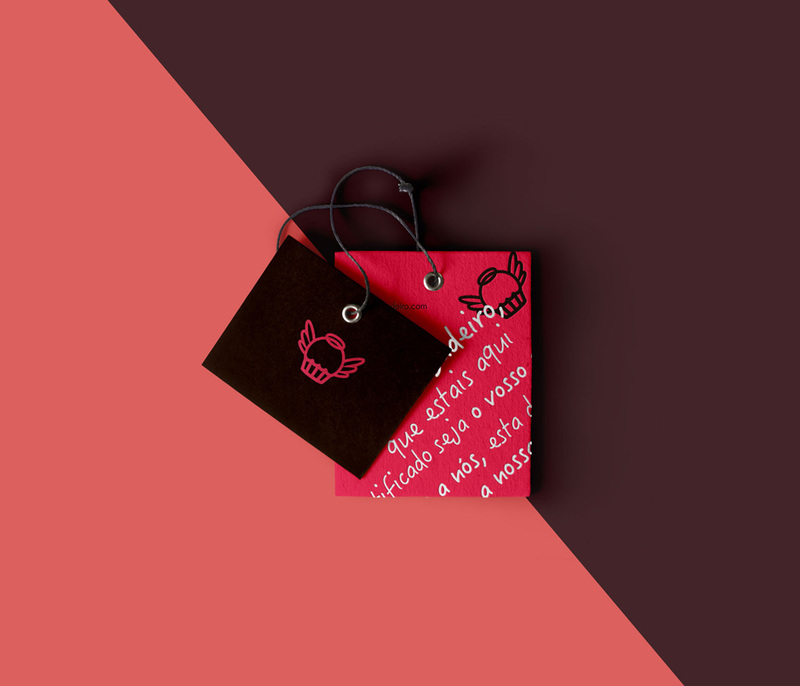 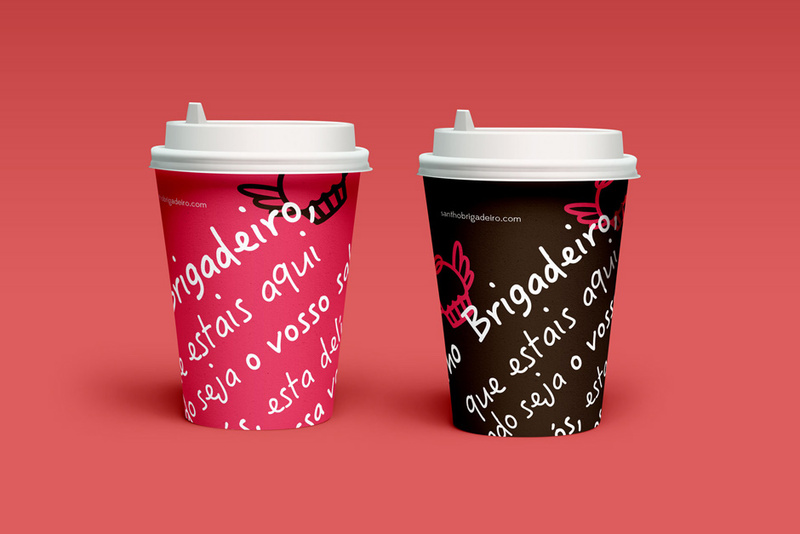 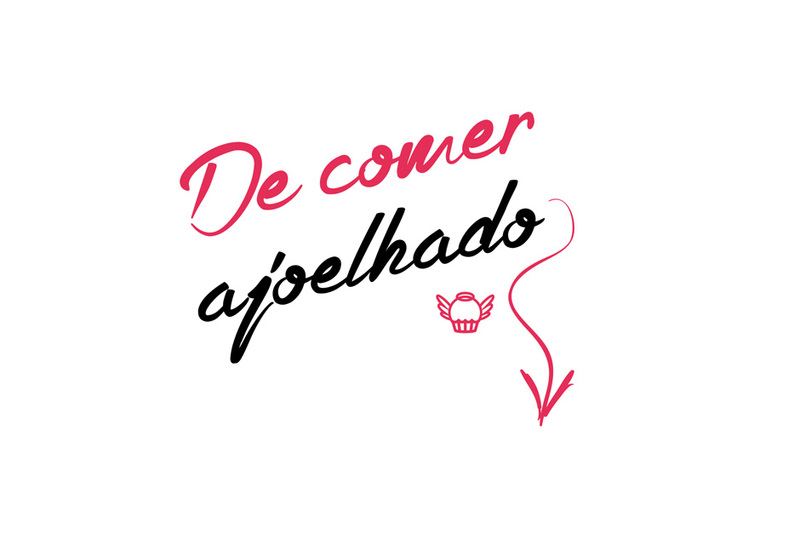 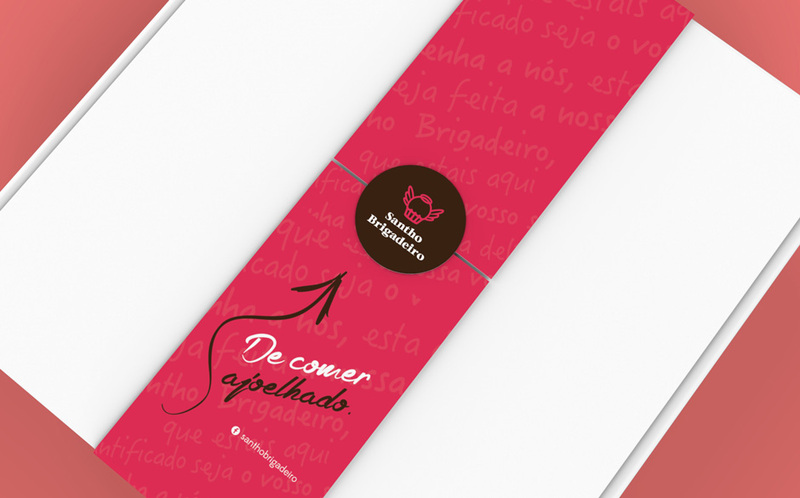 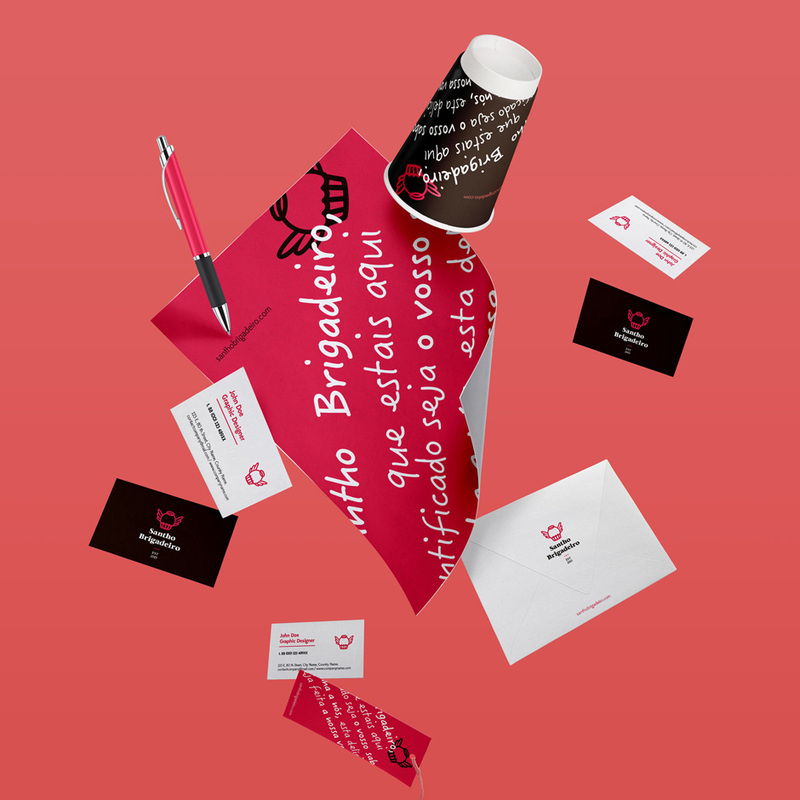 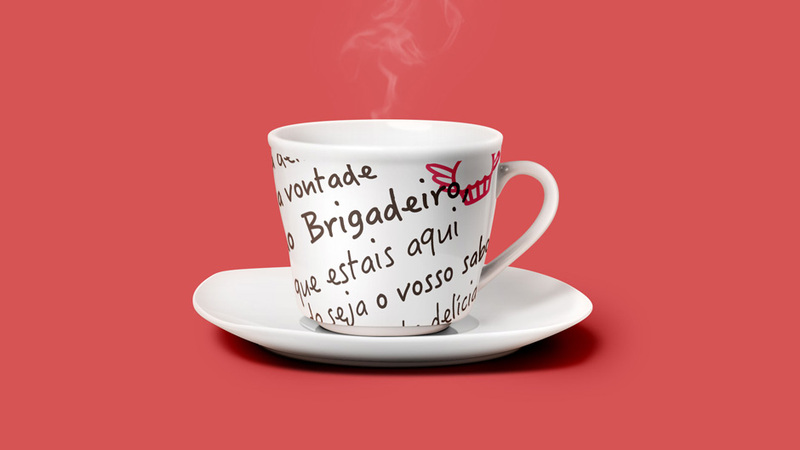 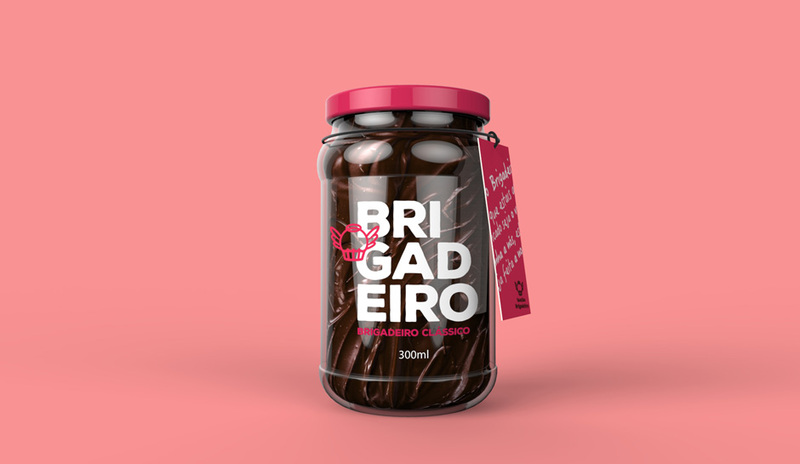 To represent the sacred aspect of the brand, we proposed a symbol as sweet as the product it represents: a friendly brigadeiro with wings and halo, assigning an angelic tone to the brand. 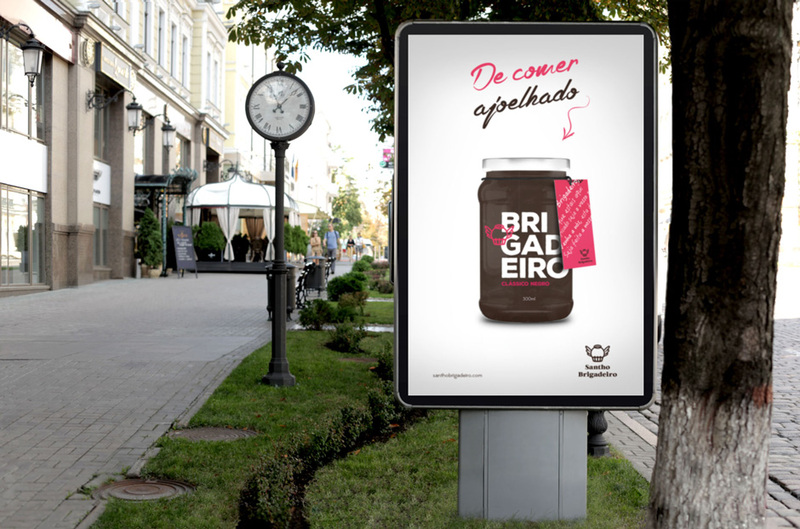 After creating the concept and brand image, we also proposed a new market approach for the product. 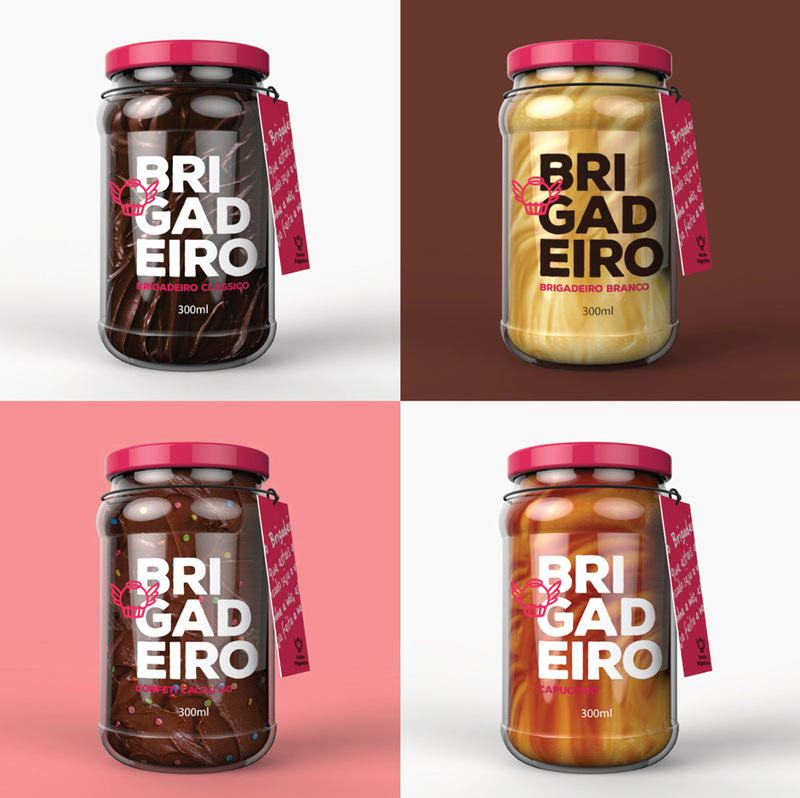 Referring to sweet traditional jams from the south of Brazil, we had the idea of designing a glass packaging on the ideal size to eat the candy with a spoon straight from the pot. 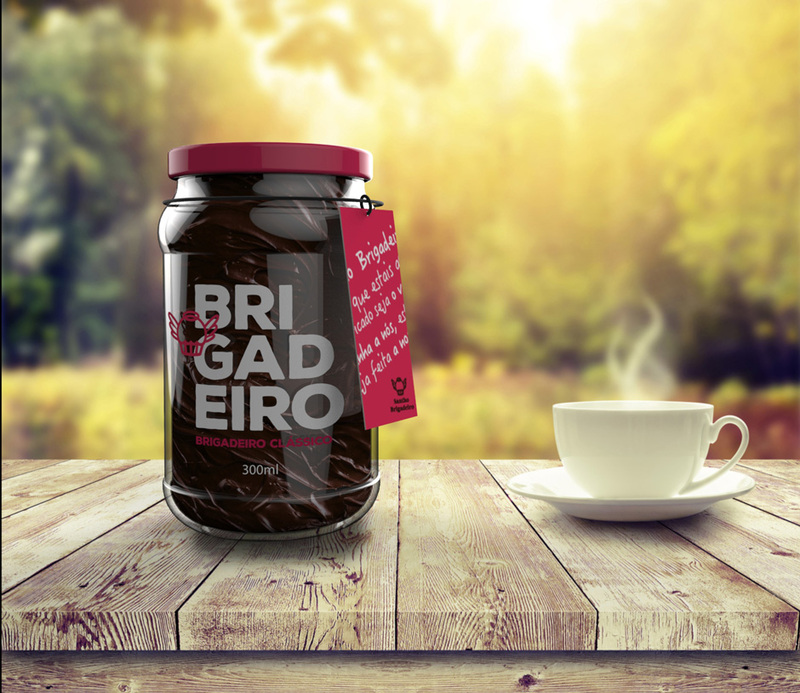 Exploring this package with an attractive label, the same product can fit into other niche markets as supermarkets and specialty stores.